Like a magical portal, Partition arch frames parts of the Arches National Park in Utah. 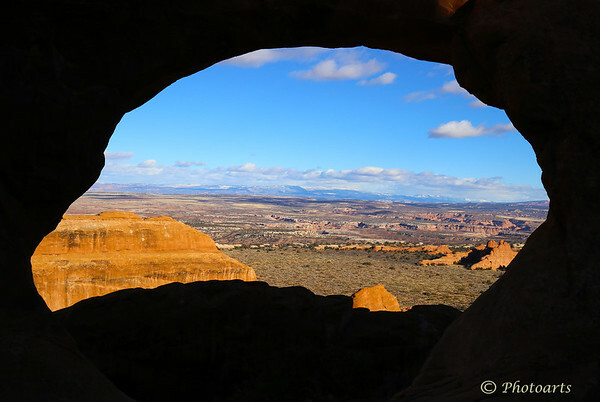 Accessed through the Devil's Garden trail, this arch provides stunning views of the landscape beyond from a high vantage point. I love the way you framed this photo. Fantastic capture!